When it comes to fleet installation wraps, experience definitely counts. Our in-house team of 3M Certified Installers and our Certified Nationwide Installer Network have wrapped everything from aircraft parts to zambonis. We take pride in our craft and strive to be the best in the industry. Our 3M Certified Installers are highly trained to handle any situation that may arise to get your vehicles wrapped the right way, and on schedule. Our goal is to keep the downtime of your fleet to an absolute minimum. 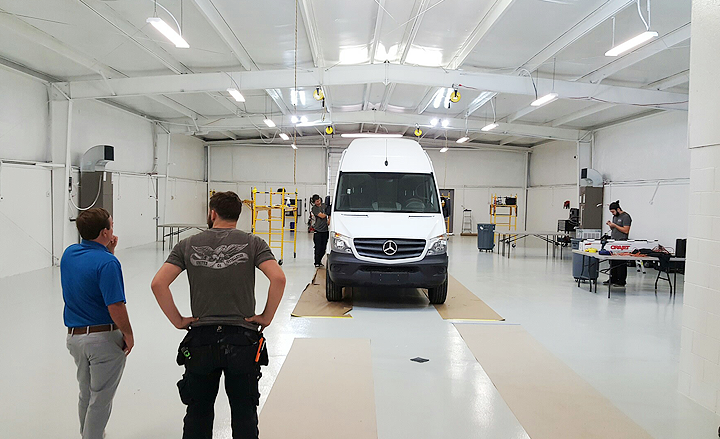 Meticulous attention to detail, the highest quality materials, and a facility specifically designed to handle the largest fleets ensure you are getting the absolute best. Do you have a fleet in multiple locations across the nation? Coordinating nationwide, multi-site installation and removals can be a daunting logistical task, but not for our team of experienced project managers. You can rest assured that we’ll take care of everything. We’re flexible, efficient, and we’re here to make your job easy.